This PDF report on Social Media Marketing is based on a survey of 900 Internet marketers. 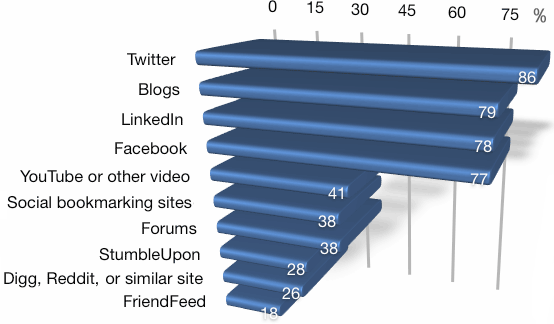 It reveals what social media tools are more popular among marketers, how do they benefit from social medie and more. Michael Stelzner interviewed some 900+ Internet marketers to determine how they are using social media to promote their businesses, what social media tools are more popular among marketers, how much time are they spending on social media sites and so on. You can download the full report as a PDF or read it online below. The number-one benefit of social media marketing is "eyeballs".